It’s been a day since I’ve posted Part 1 and in just 24 hours I’ve become exponentially excited! I’m super jacked about CicLAvia coming back and there are a few reasons more than normal. First, we’re going to be blessed with great weather unlike the morning rain last time. It’ll be sunny and about 80 degrees which in late June is playing with house money. The other great addition is that there’s more ways of getting there (which I’ve cleverly hidden below). Below, I’m sharing the best practices how to arrive no matter what mode of transportation you’re taking. 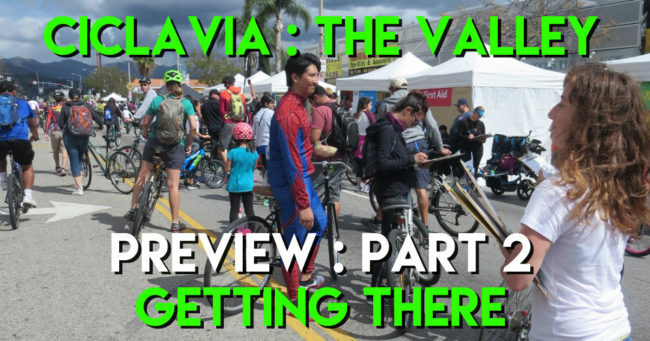 Heck, you can’t have a great CicLAvia unless you know how to show up! 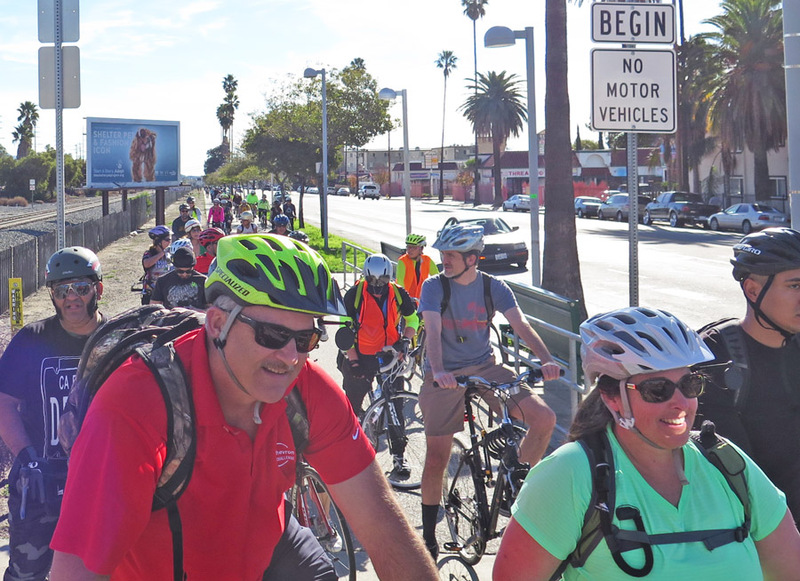 One thing that hasn’t changed is bike access to this CicLAvia from Metro Rail. I wish we had a more complete network of lanes or even a subway extension (how many years until that will actually be brought up? ), but instead we have to make do with what we have. 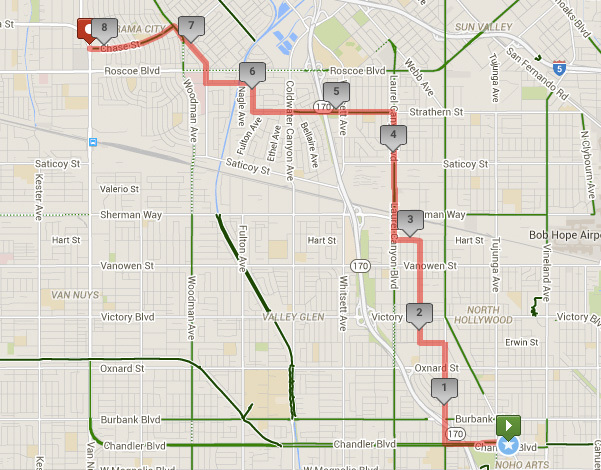 I normally avoid the diagonal part on the southern half, even though it’s a dedicated bike path. It’s just awkward and slow to get through intersections. I would continue due west until you hit Woodman and then turn up. Right angles! At the very end of this route, I’d avoid the turn onto Roscoe. It’s a real fast street and if you aren’t comfortable on a road like that, you’ll know instantly. I’d keep continuing up Woodman another half mile and then make a left onto Chase St. where there’s bike lanes. 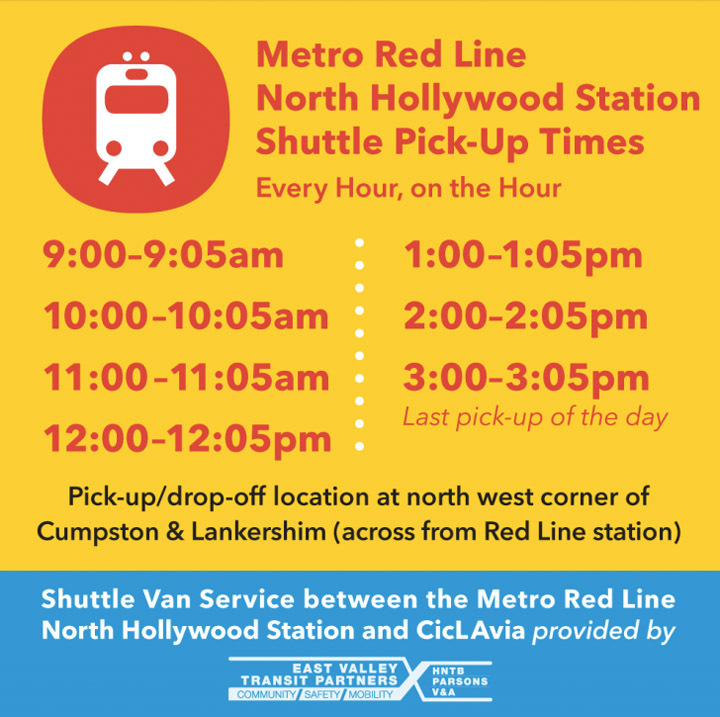 Note: this year a bike shuttles will be running from the NoHo Station every hour from 9 AM – 3 PM. It’ll take you to Panorama City where they’ll be leaving every hour up until 3:30 PM. If you haven’t a real train here’s your opportunity! Metrolink will be operating a couple of lines that are CicLAvia fabulous(that means within striking distance) of the route. The Antelope Valley Link will be leaving from Union Station at 8:45am, 11:37am & 2:10pm taking about thirty minutes to get you to the Sylmar/San Fernando Station. 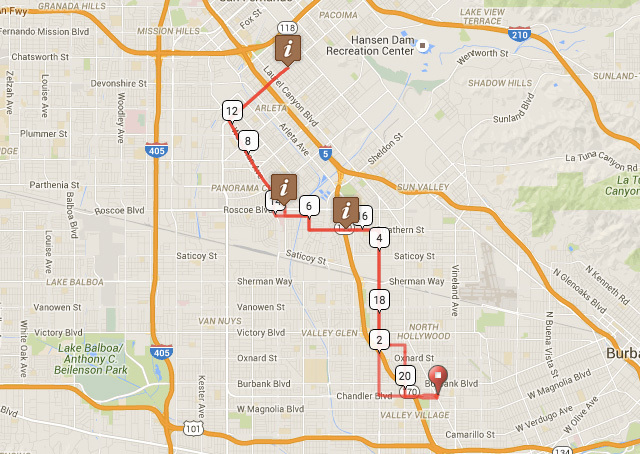 From there, you have about a 2.5 mile bike ride down the San Fernando Road Bike Path to reach the course. I’ll take any excuse to use the train. Unfortunately, the Ventura line doesn’t run on weekends which would have been the most perfect way getting there. Last time they added a couple of trains here, but I’ll keep you posted if I hear anything. You can also take the regular Amtrak train out there, but there are even more limited spaces for bikes on them and you have to make reservations.. 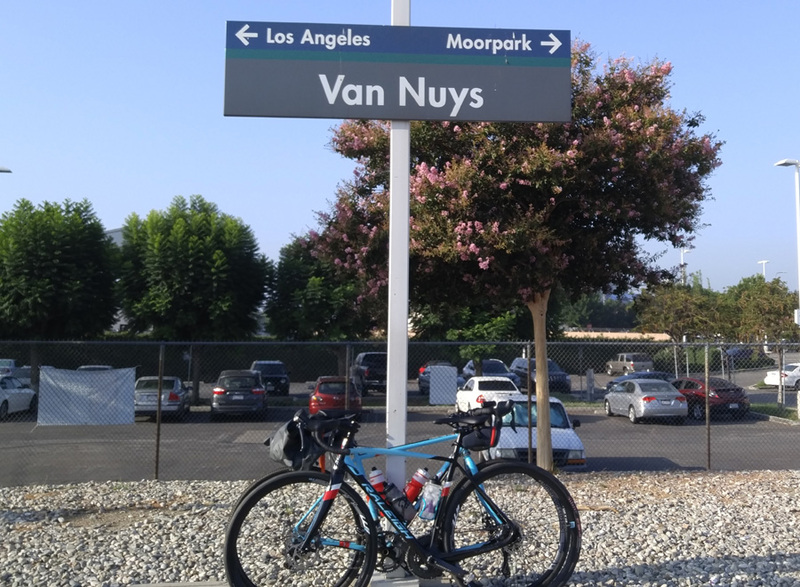 Either way, the Van Nuys Station is a half mile south of the route. While there is no bike lane to take you to the route, I imagine you’ll be riding along with a bunch of other cyclists anyways. Another CicLAvia superlative as this will be the closest of the sixteen additions to an airport. Whiteman Airport sits no longer than a two minute ride from Van Nuys Boulevard at San Fernando road and has been serving the valley since 1946. 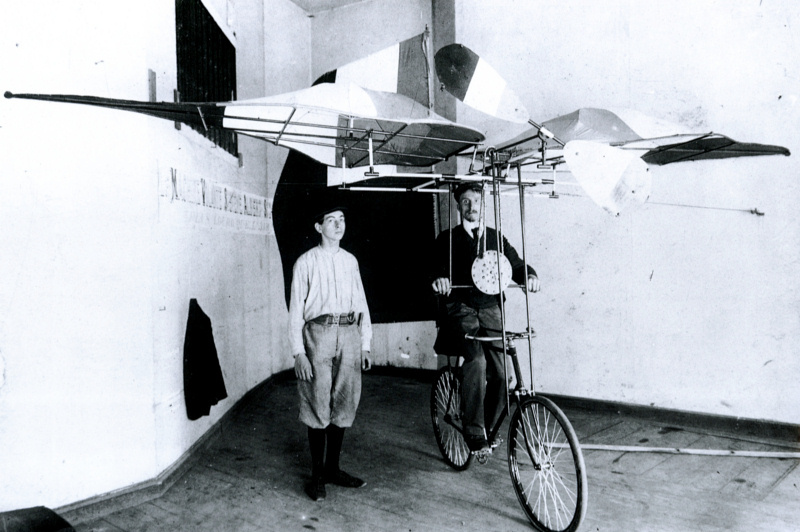 The airport only lands small aircraft, so no John Travola for this CicLAvia. Of course, the Bob Hope Airport isn’t too far away either. I’m just waiting for someone to pull this off! Well, duh. I shouldn’t waste too much typing power on this, but there are a lot of places to park nearby the course because its surrounded by residential. It’s probably easier on the north side, so if you’re taking the 405, exit Devonshire and head east. If you’re driving on the 170, exit Roscoe and I’d advise parking somewhere near the Chase Bike Lane. I’m pretty sure the San Fernando Bike Path will be this full. Coming up the 5, you can get off at Osborne, but you might be better suited exiting off at Laurel Canyon and cutting your way back. I can’t forget the Santa Claritians, but heading down the 5, I’d prefer exiting San Fernando Mission Blvd. and find parking near the San Fernando Road Bike Path, but getting off at Paxton will serve you too. Come large: Bring along a trailer, take the kids, bring music and even a change of clothes in case you find some wet water discoveries. There is always a lot to do during a CicLAvia, so be flexible to have fun! If you’re looking for post ride libations, San Fernando Brewery and MacLeod Ale are about two miles away from to the north and south respectively. These are two of my favorite breweries in the Valley although there seems to be many more along the way. I’ll be out there the whole day, starting at the LACBC booth in Arleta until 11 AM and then strolling about after. Stop by to say hi and don’t forget to reel in your neighbors for this fantastic day of fun!